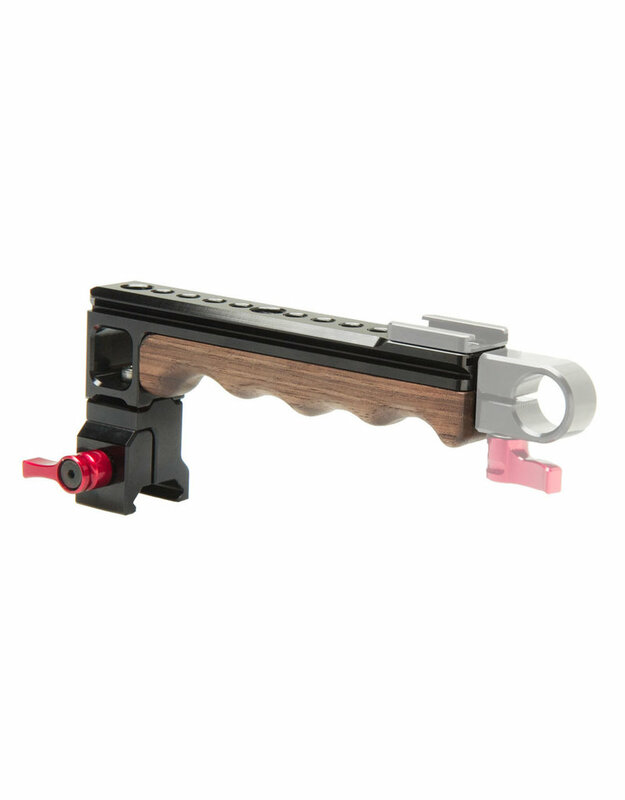 Gratical Eye Indie Recoil with Dual Grips Bundle to provide dual 360° rotating wooden handgrips for secure shoulder-mounted operation, and the Gratical Eye Micro OLED EVF which offers pro-style monitoring for DSLR, mirrorless, or a wide variety of other cameras. 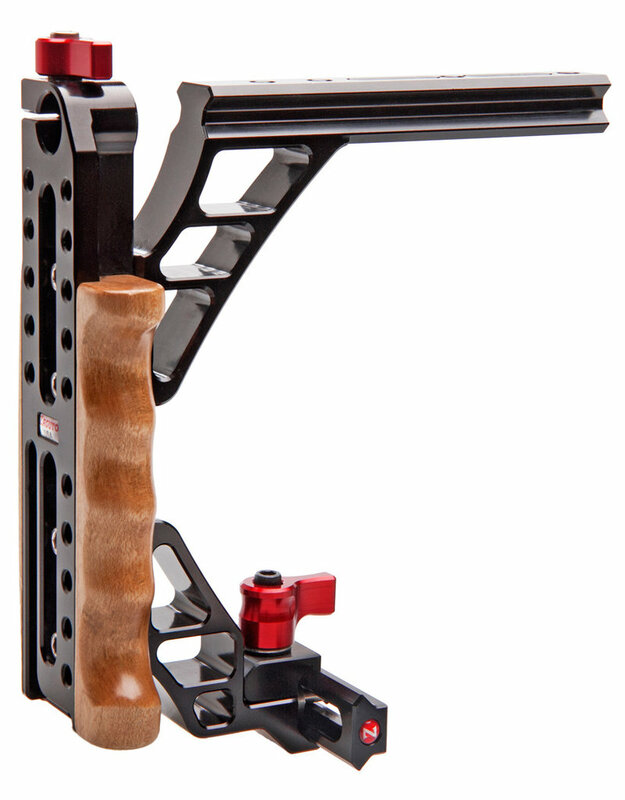 This rig also includes the Axis Mini EVF mount which connects your Gratical Eye to the rig, the QR Riser with Gorilla Plate and Tripod Dock to raise your camera to the level of your matte box, the VCT Pro baseplate, the Half Cage Rail with 5" Z-Rail for VCT Pro, and the Top Handle with Z-Rail and cold shoe mount for mounting accessories. 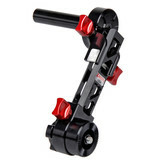 The Zacuto Indie Recoil is a shoulder rig designed to support a wide variety of cameras and specifically assembled for DSLR and mirrorless owners. 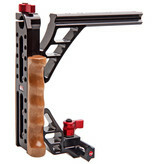 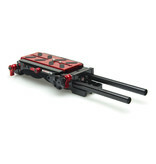 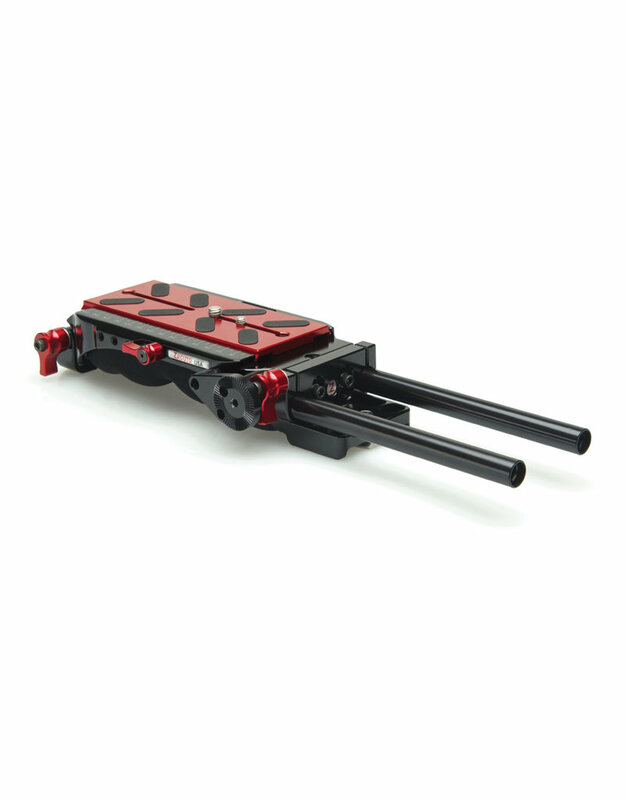 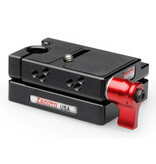 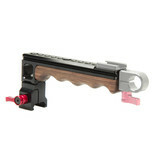 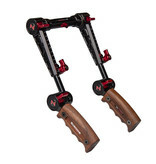 It is comprised of the Zacuto VCT Pro Baseplate, QR Riser, Dual Trigger Grips, Half Cage Rail, and Axis Mini EVF Mount. 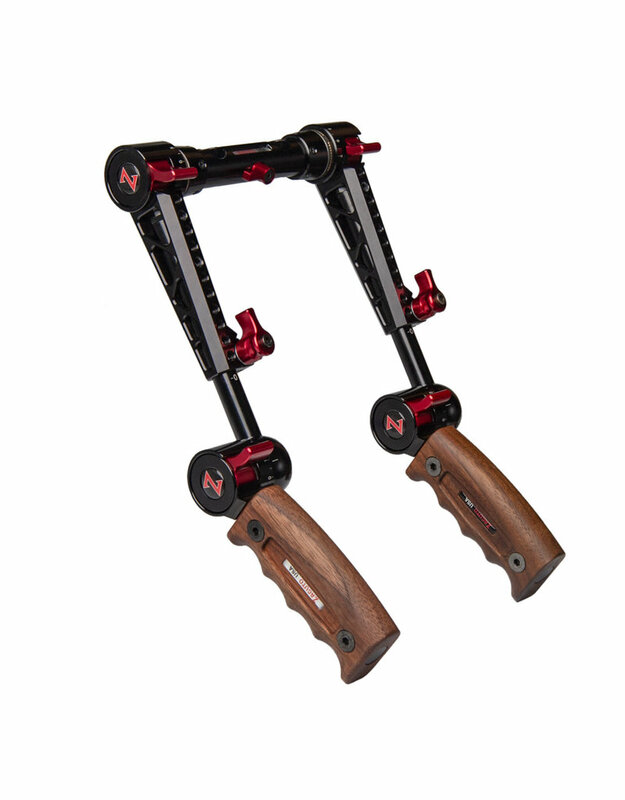 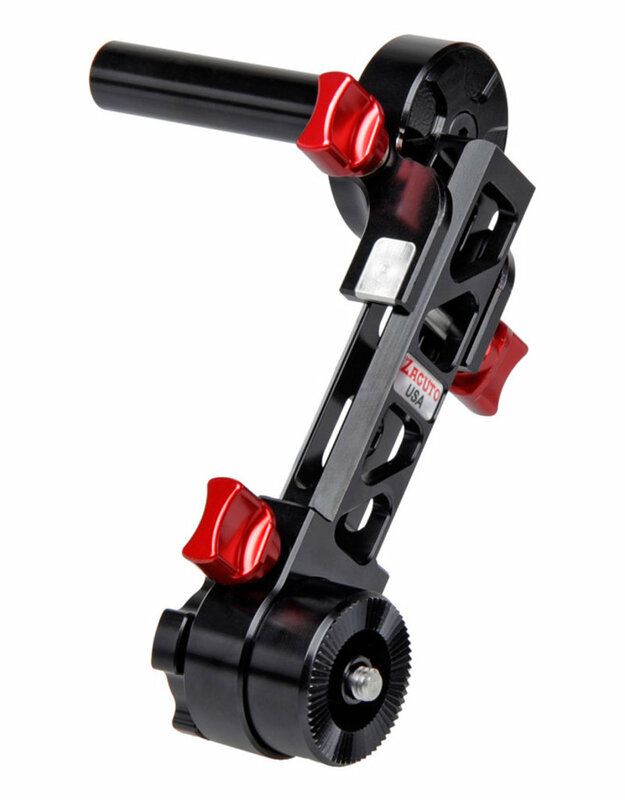 This shoulder rig follows in the Zacuto Recoil Rig philosophy of setting the balance point at the shoulder, placing the camera behind the shoulder and the focus, monitoring, and camera controls forward of the shoulder. 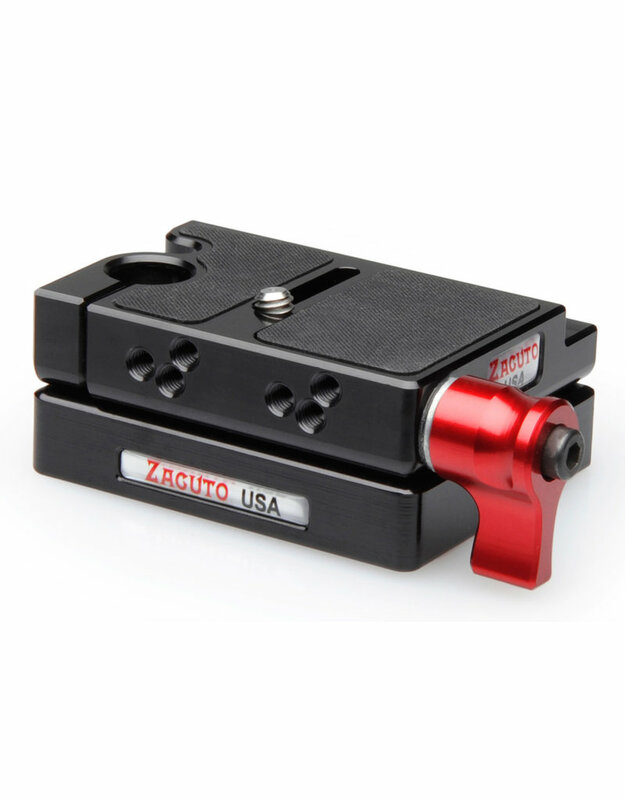 With the Gratical Eye, Zacuto takes the highly regarded 0.61", 1280 x 1024 micro OLED panel found in their Gratical HD and packs into an EVF that weighs just 14 oz and fits into the palm of your hand. 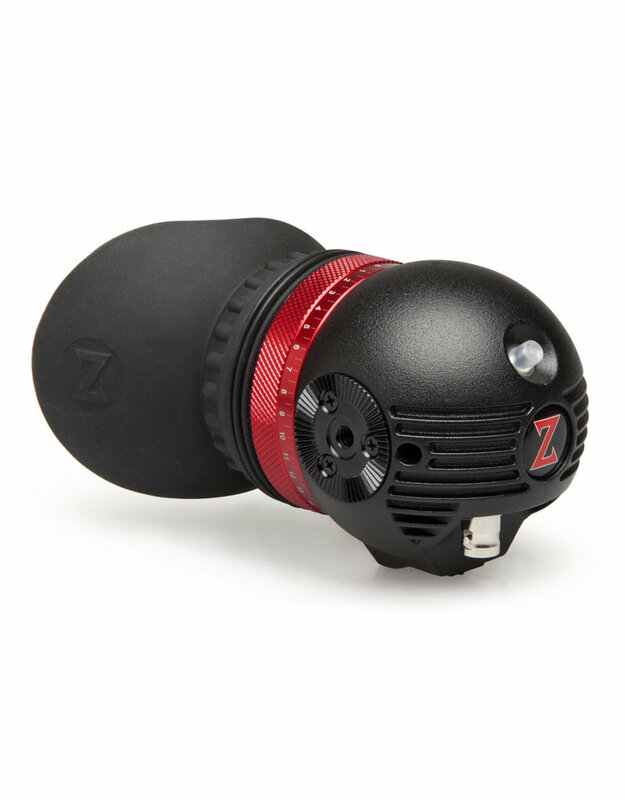 In order to keep the EVF small and compact, it features a round design and it equipped with only a single 3G-SDI input that supports up to 1080p60 video, a 2-pin LEMO power connector, and a USB port for firmware updates. 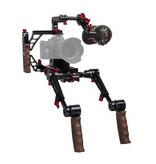 Not content at being just a professional-grade EVF that produces natural looking images with a 10,000:1 contrast ratio, the Gratical Eye is equipped with a FPGA dual core processor to support the full set of monitoring and image analysis features found on the larger Gratical HD, including LUT support, vectorscope and waveform displays, and peaking, which are controlled using a joystick-style button on the back of the unit. 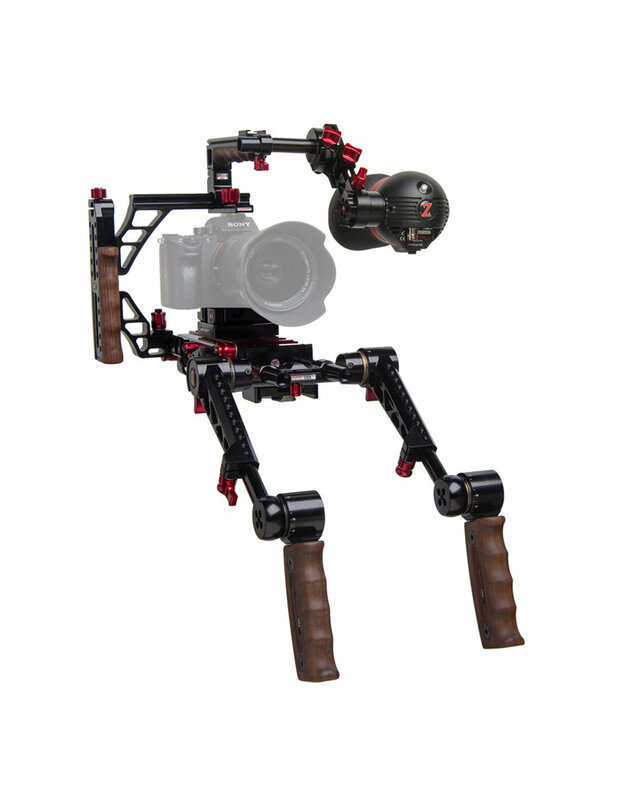 With its compact size and full feature set, the Gratical Eye is an EVF ideally suited for use with professional SDI cameras and rigs using external power solutions.